Congratulations to Chris Zubrycki for winning the AZBJJF MVP for the 2012 competition season. 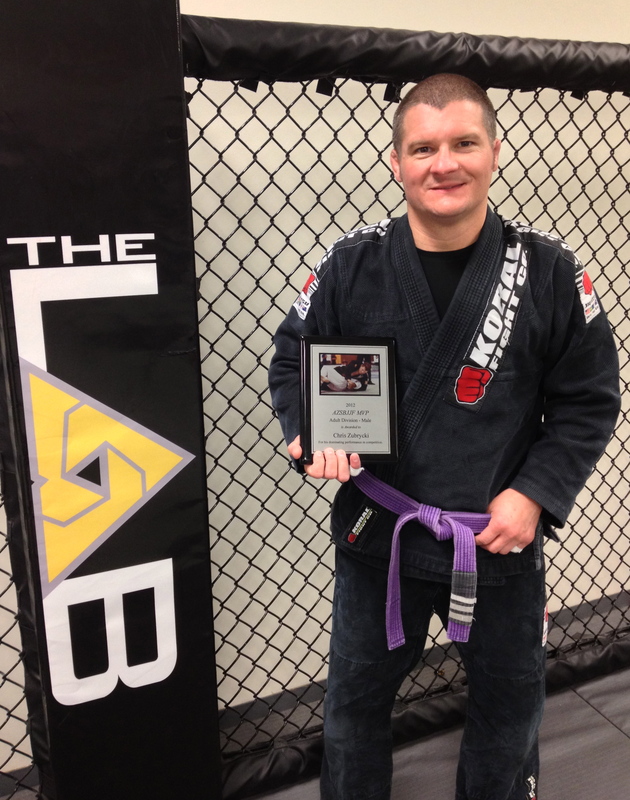 Chris has been at the MMA Lab since it’s opening, and is an integral part of the team that we have created there. Chris started by running our Kid’s BJJ program that, while under his charge, was the top rated youth program in Arizona for two years in a row. He now teaches adult classes and helps with the Elite Fight Team; both training with them and running the team’s video program. Chris has been dedicated to improving our school since it’s inception, and it is great to see him get recognized for all his hard work and dedication. Congratulations Chris, we are very proud to have you on our team! This entry was posted on Monday, March 11th, 2013 at 10:32 pm	and posted in News. You can follow any responses to this entry through the RSS 2.0 feed.